Everyone’s been there, and people are raving about it. When did I become the last one in? 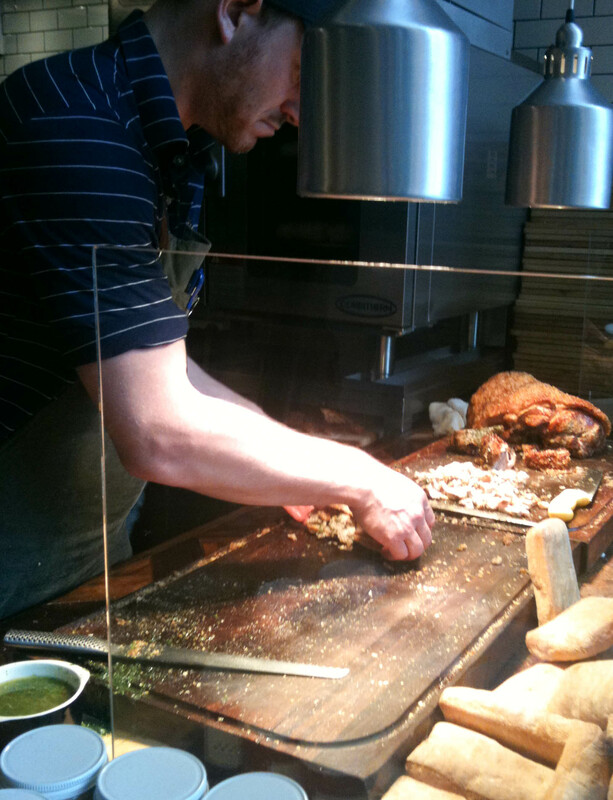 Porchetta sliced to order with crackling included. Salsa verde is drizzled on top and the bits of meat are hand tossed. I delegated my lunch partner to what I believed to be the second best option on the menu, the meatball sub. 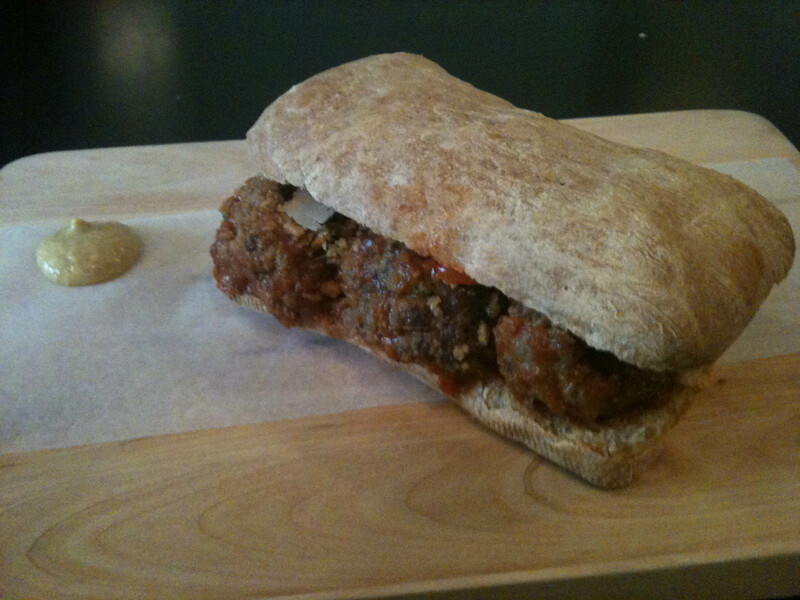 The meatballs were moist and well seasoned but there could have been a bit more saucing to this sandwich. My thoughts? 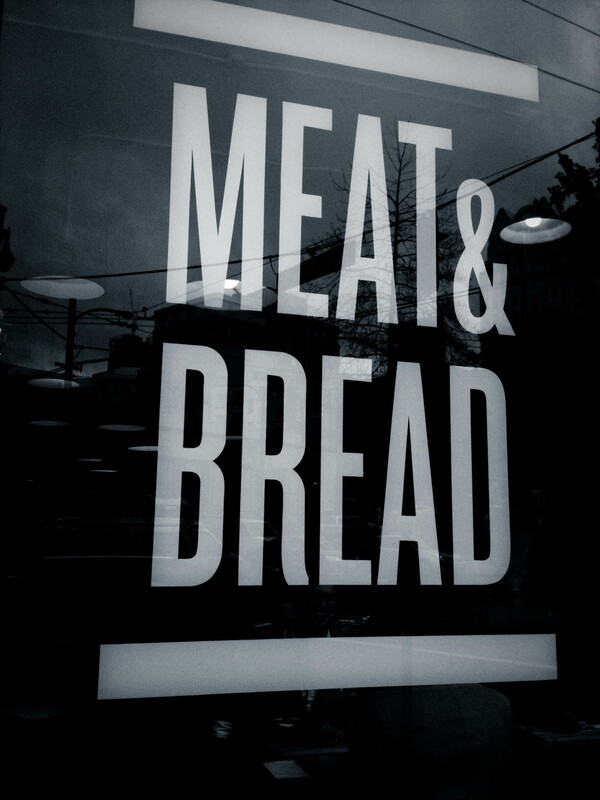 Meat and Bread is bang on with the meat but needs improvement on the bread. I thought the ciabatta was bulky and unflavourful and did nothing to enhance the sandwich, (which is where I think Big Lou’s really shined). Another minus was the dollop of mustard on the side. There were no knives, so I’m assuming that I was supposed to dip into the side of mustard, which just made all the goodies fall out of the sandwich. I wish they could have just asked me when I ordered if I wanted mustard or not. 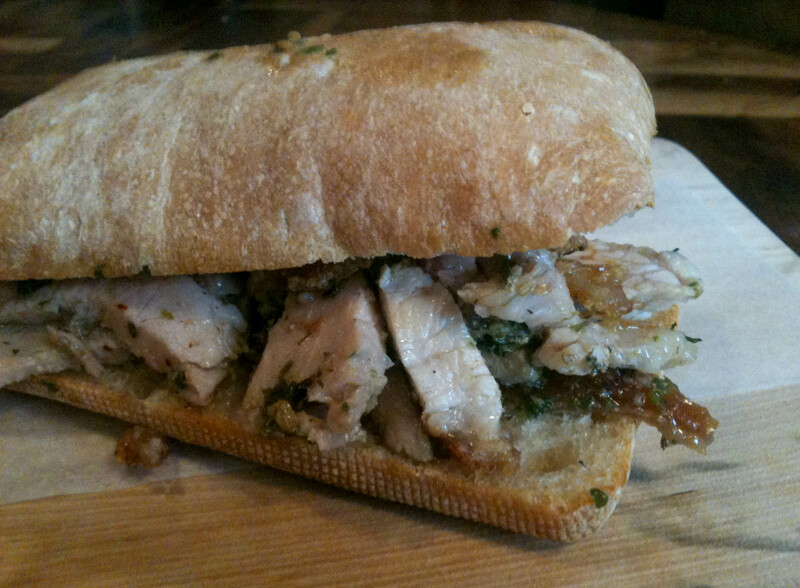 2 minuses but the porchetta was so darn good that I know I’ll return. Try the bacon ice cream sandwich next time, it’s tasty!